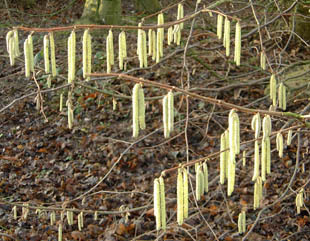 fields and alongside country paths. 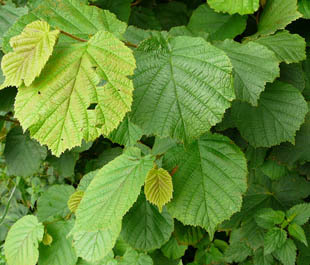 Hazel is a native shrub or small tree, growing up to 6m. 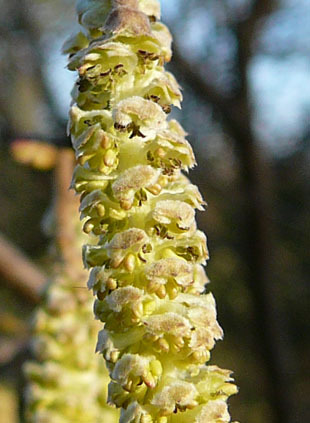 8cm long and composed of oval bracts and yellow anthers. 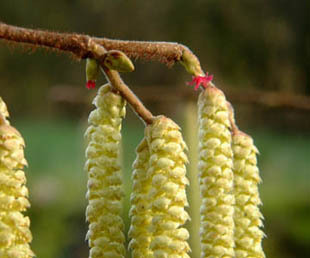 Male catkins tend to appear before female flowers. 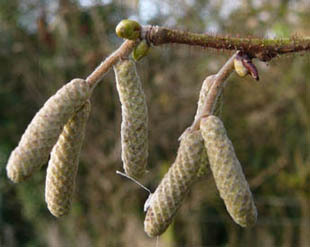 Flowers appear before the leaves. 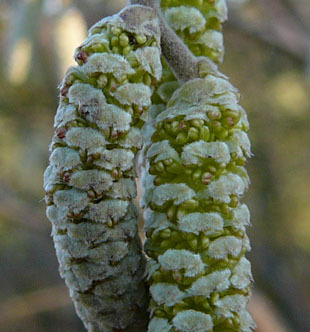 Young twigs are covered in reddish-brown glandular hairs. 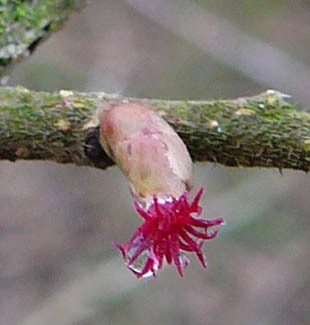 The fruits are edible nuts encased in a woody husk. 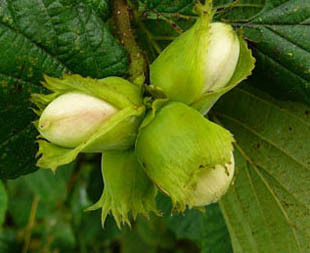 chocolate truffles and flavoured coffees.